Bacteria have to communicate with their environment and other organisms in order to control and coordinate cell metabolism and composition. 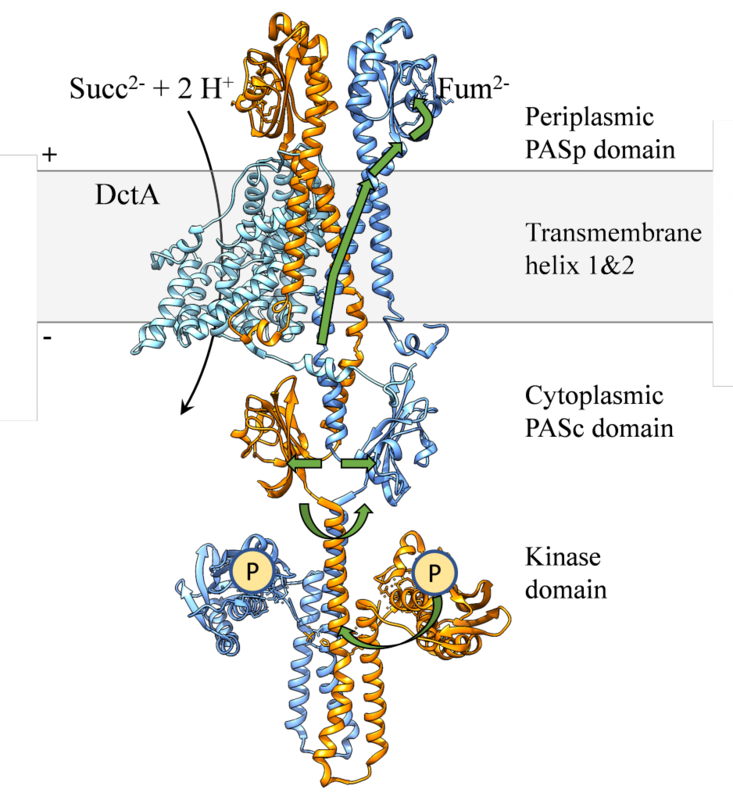 Membrane integral sensors represent the primary site for sensing. Major topics of the work group are studies on the structure and function of membrane-bound and cytosolic sensors for oxygen, redox and fumarate. The figure shows a model for the structure of the fumarate sensor DcuS and its co-operation with the succinate transporter DctA.